Are you hoping to plan a splendid soiree this holiday season? Knowing that it’s the busiest time of the year, it can be a challenge to spend the time whipping your ideas together into something amazing! No worries! Mixing practical solutions with whimsical ideas will help bring it all together perfectly. 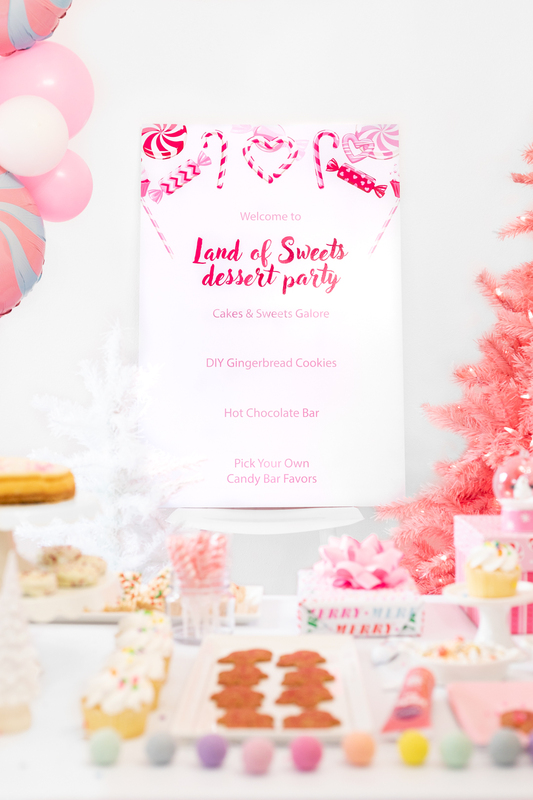 Today, I’m sharing my Land of Sweets Christmas Dessert party ideas to help get ideas flowing. 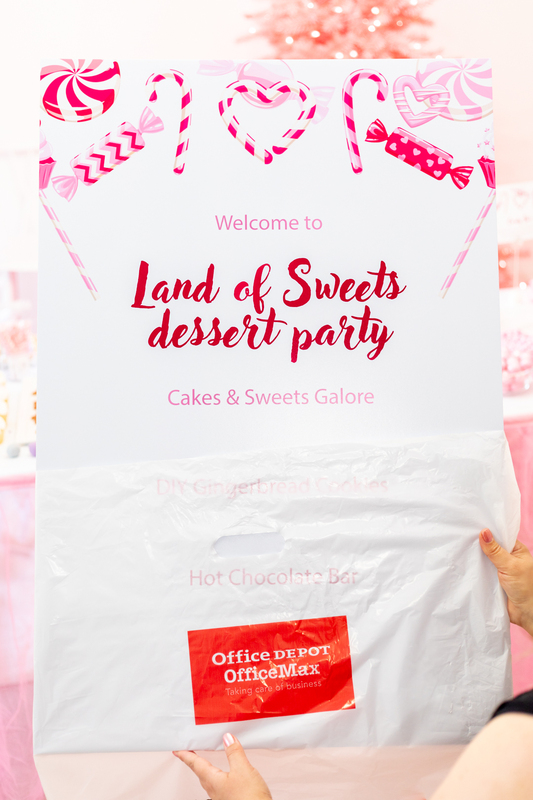 Plus, I’m showing you how you can rely on Office Depot’s Workonomy™ Print & Copy Service to take it over-the-top quickly! Are you ready for something new this year? Instead of the traditional holiday party with appetizers and savory dishes, let’s do dessert. 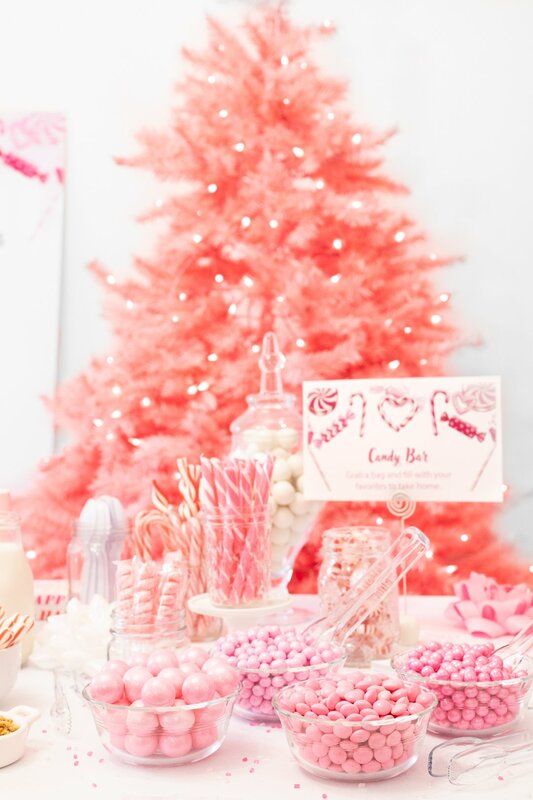 The holidays are no doubt a sweet time of the year, this kind of party is unusual and will be extra memorable with all of the sweetest touches. 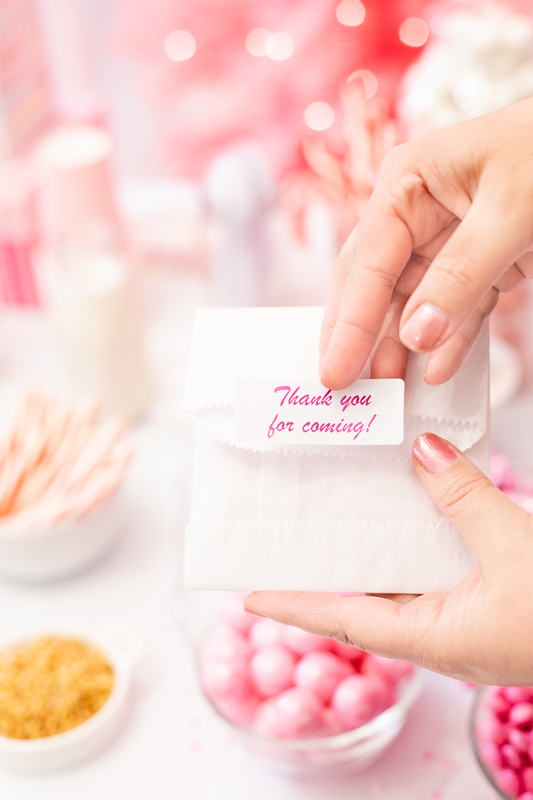 I’ve quickly been able to whip these ideas together and make them happen by creating the perfect custom invitations, a party sign that includes the menu, buffet signs to help guests navigate the offerings and, finally, stickers for party favors. Getting these special touches printed quickly was key! I simply got my ideas in order and headed over to my local Office Depot to order my prints. You can also do this online and even have them shipped if time is on your side. These little additions to your party spread will help you to host a holiday party that guests will remember! 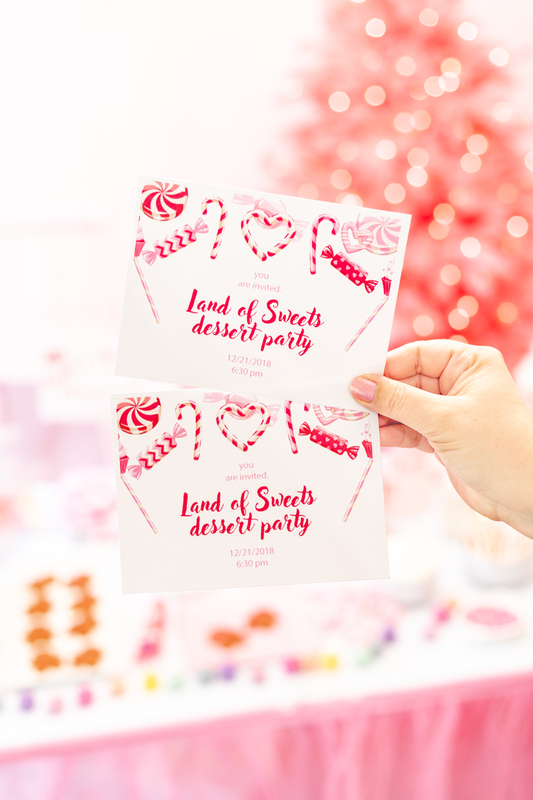 Don’t forget to have invitations custom printed at Office Depot’s Workonomy™ Print & Copy Service, too! Now, let me show you how all of these lovely touches come together with these Christmas Dessert Bar ideas for your very own dessert wonderland! 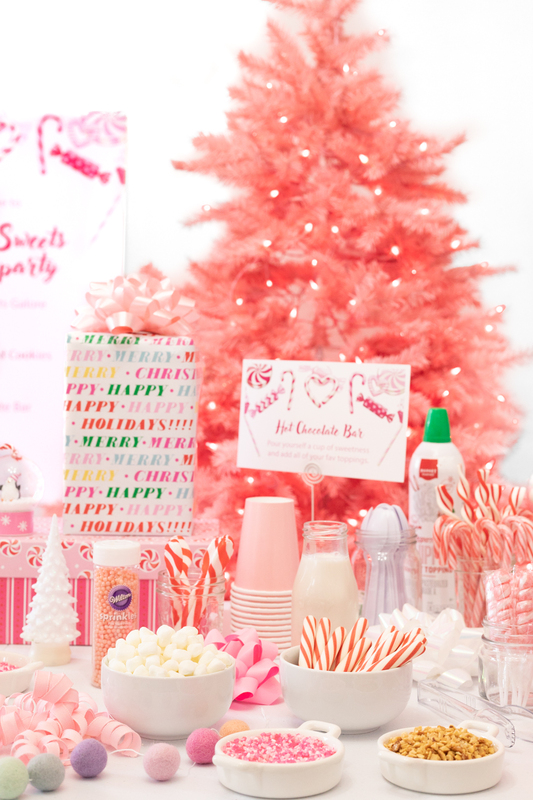 Let’s dig into these holiday dessert bar ideas! 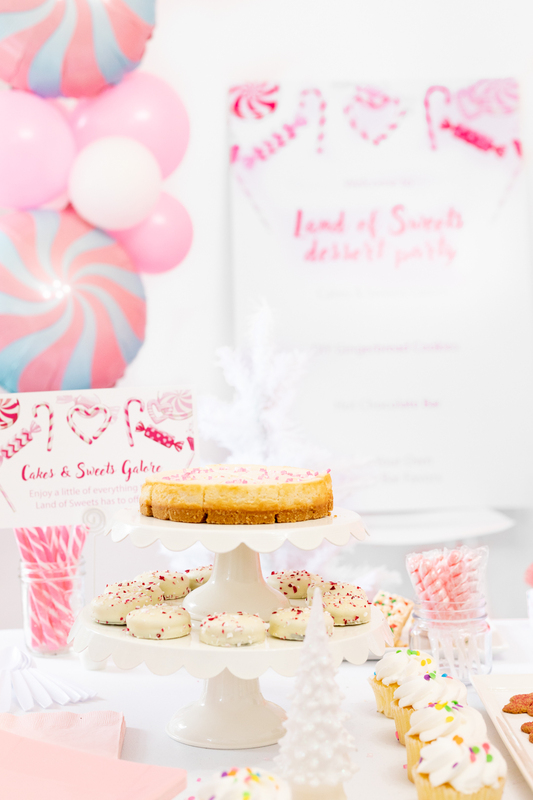 Creating inviting party ideas that are as whimsical as they are practical is my specialty. 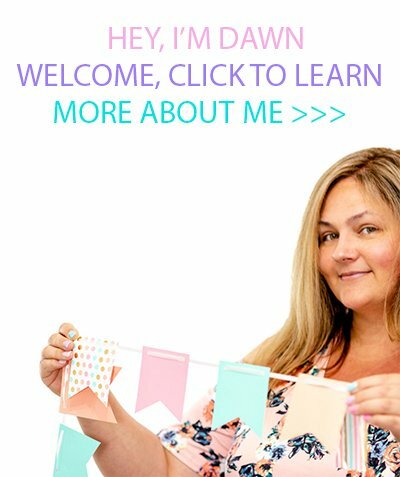 I love creating eye-catching and fun ideas that are easy for anyone to recreate at home. I have a special affinity for the holiday season, this would be a lot of fun to create. 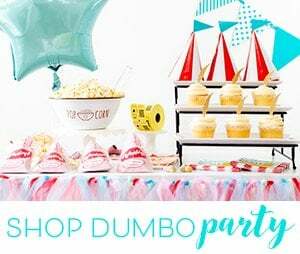 I decided to have four different stations for this party, so I ordered buffet signs from Office Depot to take it over-the-top. Let’s check them out! Enjoy a little of everything the Land of Sweets has to offer. It wouldn’t be a proper dessert party without… desserts! Have fun with it! Serve cakes, cupcakes and other fun and festive sweets. Decorate your own Gingerbread Man Cookie. Every party needs a little excitement! How about a gingerbread cookie station where guests can decorate their own? Pour yourself a cup of sweetness and add all of your fav toppings. What better beverage to serve up with our winter wonderland than hot chocolate? I added a variety of fun toppings including pink sprinkles, of course. Grab a bag and fill with your favorites to take home. I thought it would be super fun to set up a little candy bar so that guests can take home their own selection of delicious sweets. 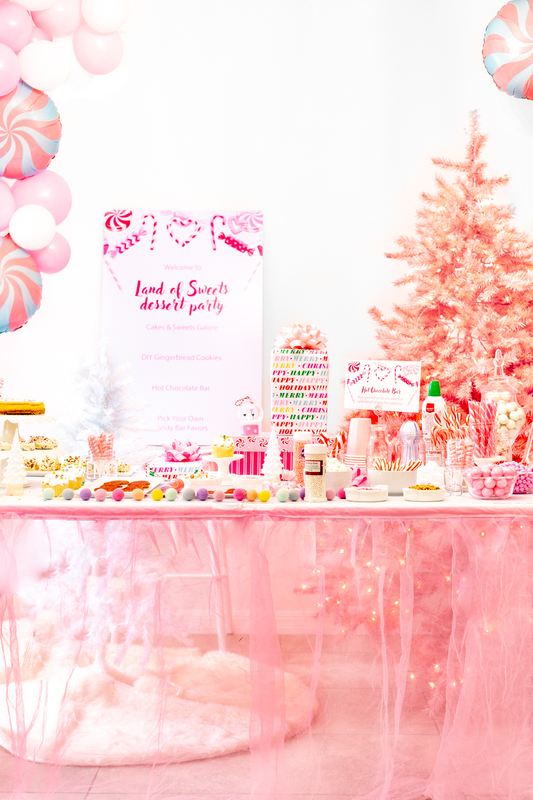 I added a variety of pink and white candies to match the party theme. For one last special touch, I ordered custom matching “thank you for coming” stickers from Office Depot. 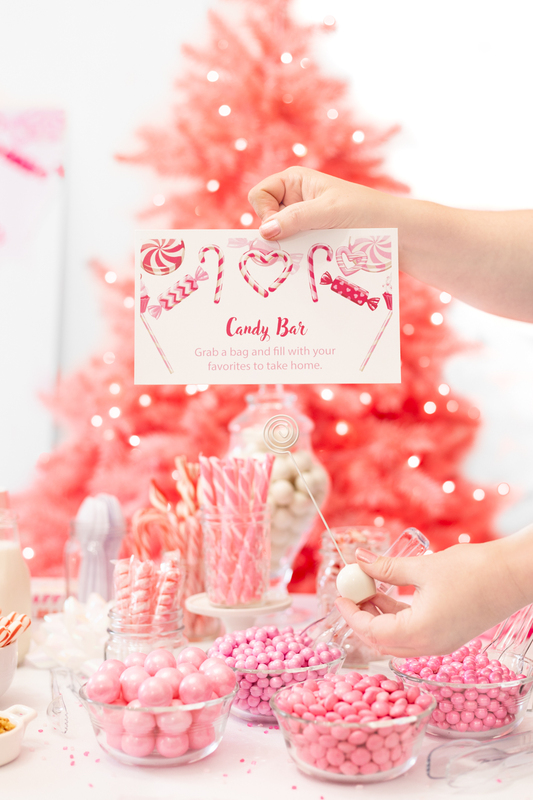 Make your holiday more magical this season with the help of Office Depot Workonomy™ Print & Copy Service! 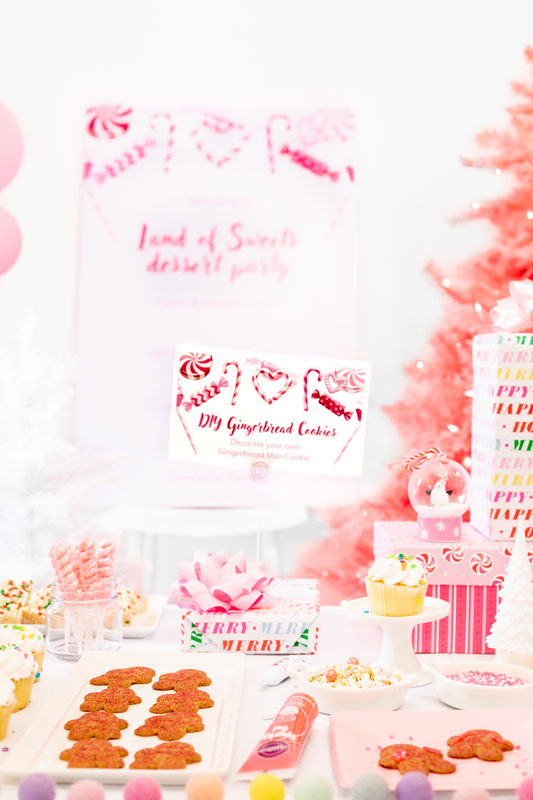 Get custom printables, party signs and themed signs for your own dessert table. Plus, you can even order your holiday photo cards or the last-minute gifts, too! Score. Plus, with so many convenient options, it’s so easy to make it all happen! You can order online, in-store or even buy online and pick up your order in-store at great prices. Basically whatever works for your busy schedule! Office Depot is the one-stop place for your holiday gifting and mailing needs this season!